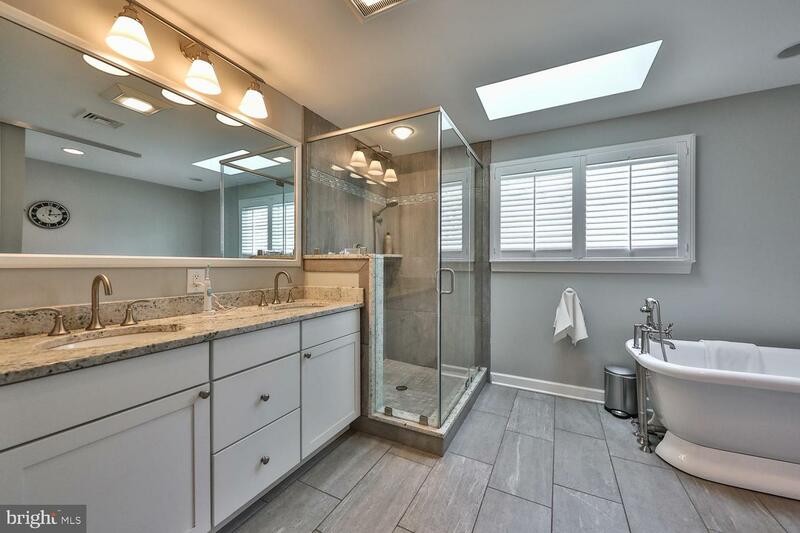 Serene and spectacular! 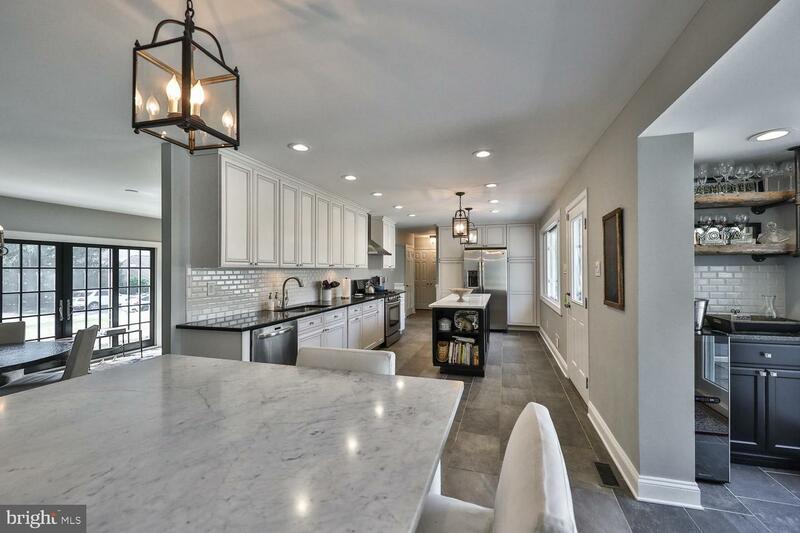 Inside this Whitemarsh Valley Farms single every surface of this exquisitely appointed house is fresh, clean and bright finished in a palette of grays and white. 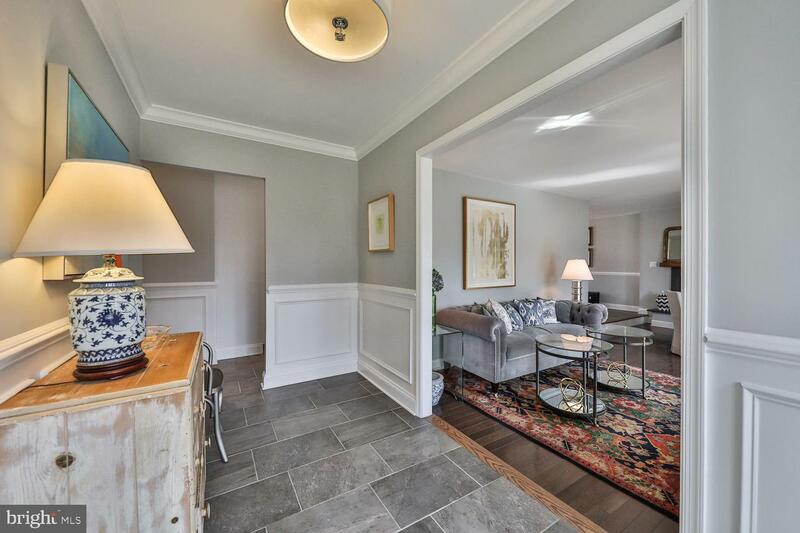 The welcoming front hall has wainscoting and new beautiful gray tile floors. 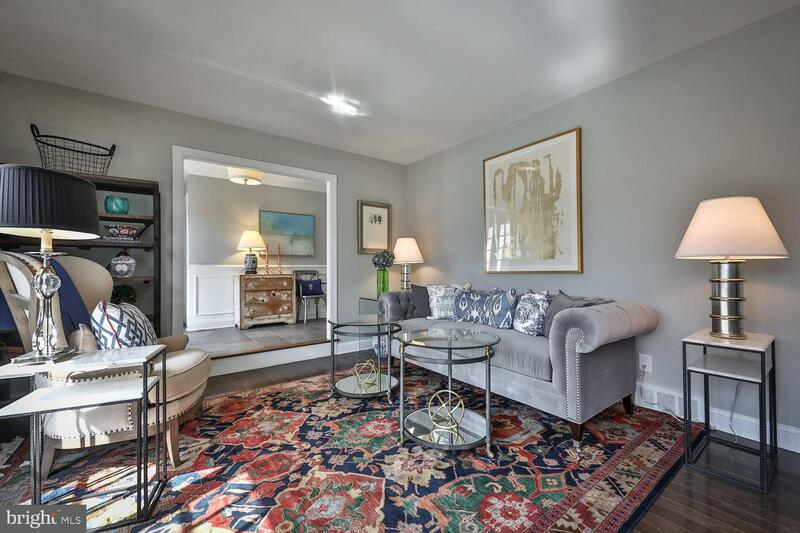 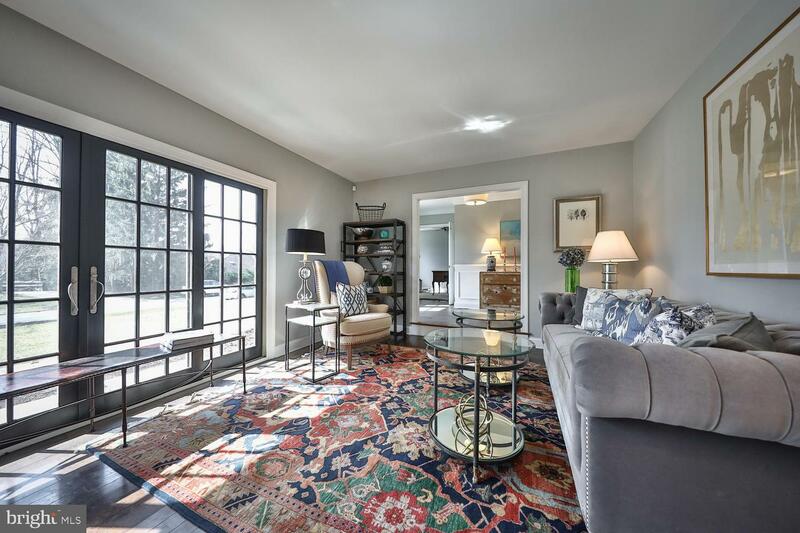 From the front hall, step down to a living room/ dining room with French doors and full French windows to the front yard, beautiful dark walnut floors and a slate gas fireplace. 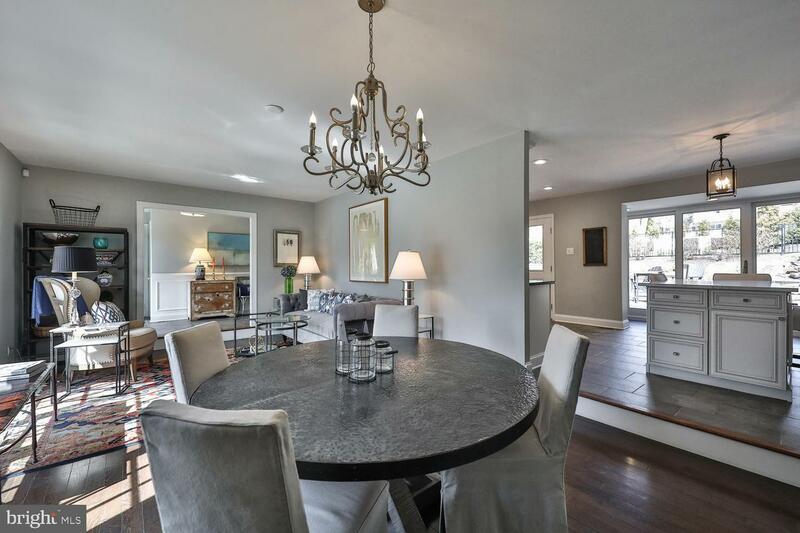 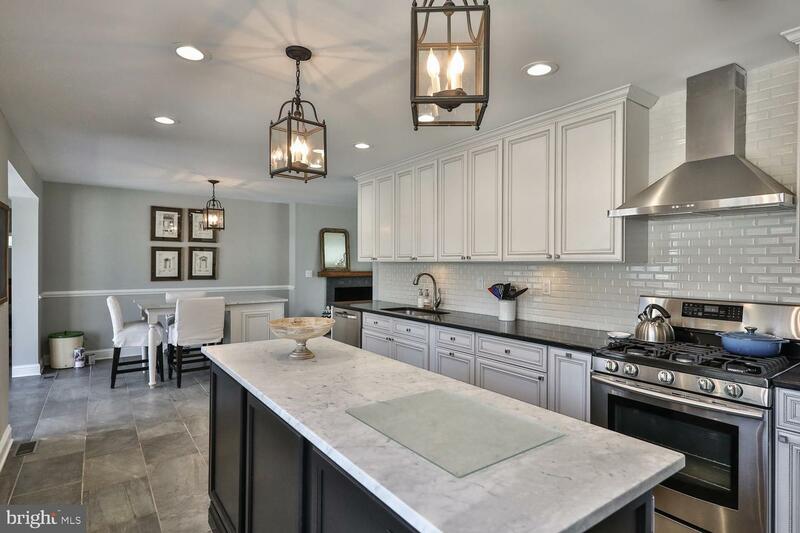 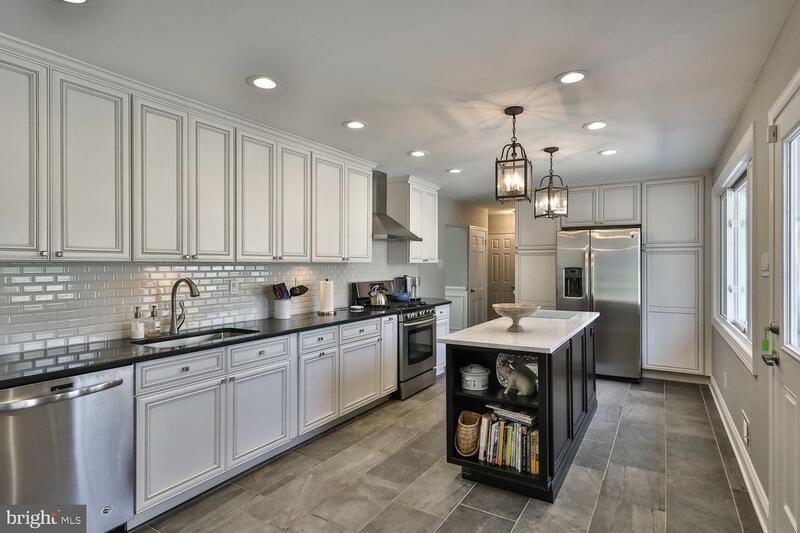 A gorgeous custom white chef~s kitchen has granite and marble counters, an island, and a custom high-top dining table which overlooks a beautifully designed fenced-in back yard. 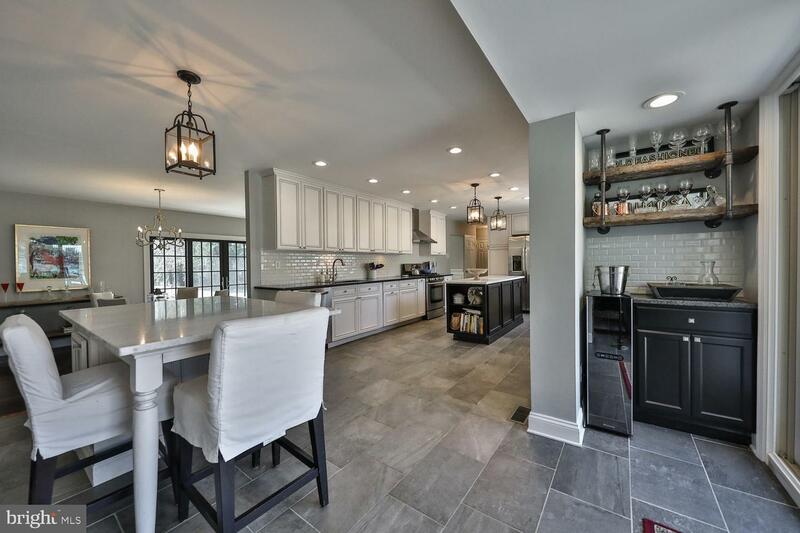 Entertaining or stay at home days and nights will be a delight, grab a drink from the custom bar nook located between the kitchen and the outdoor entertaining area. 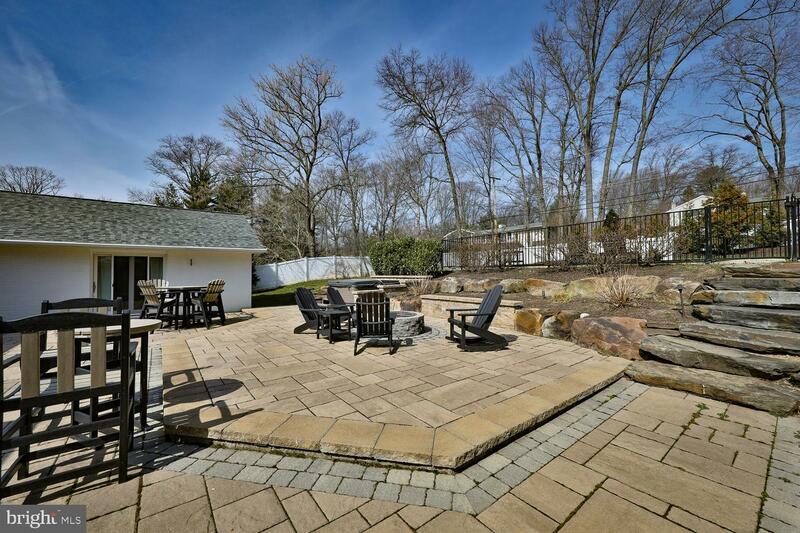 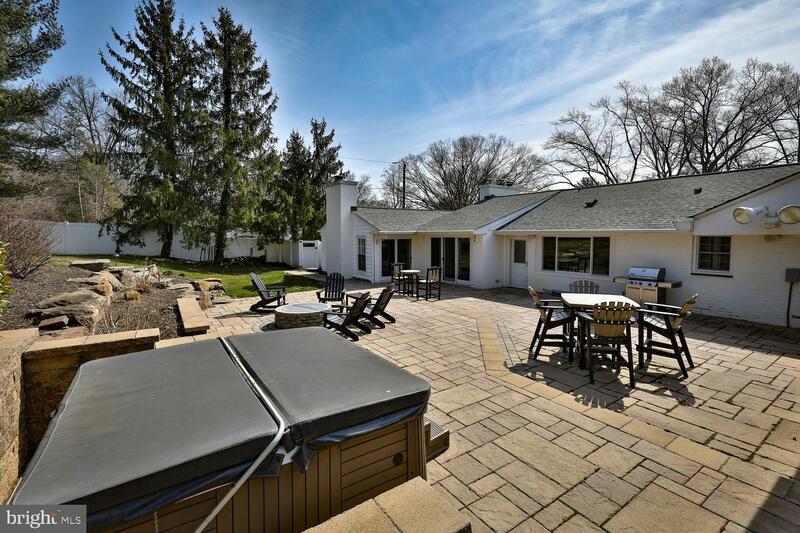 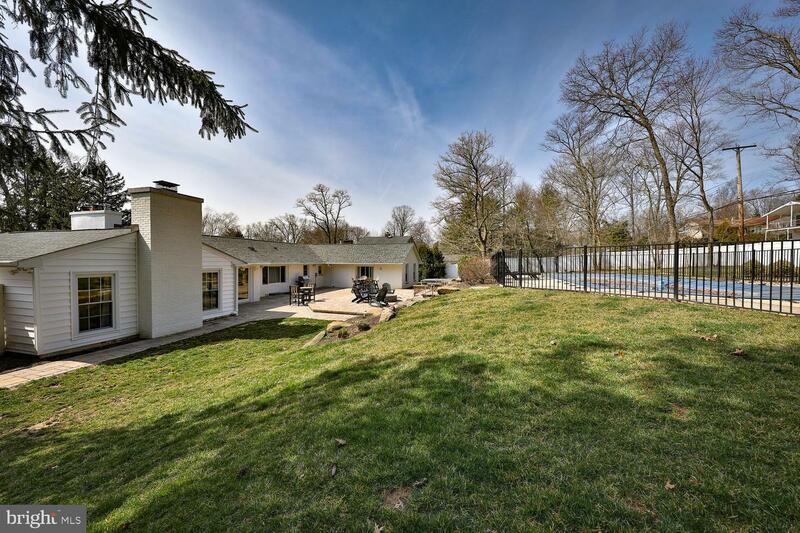 The back stone patio has a hot-tub, firepit and an in- ground renovated pool in a meticulously cared for terraced yard. 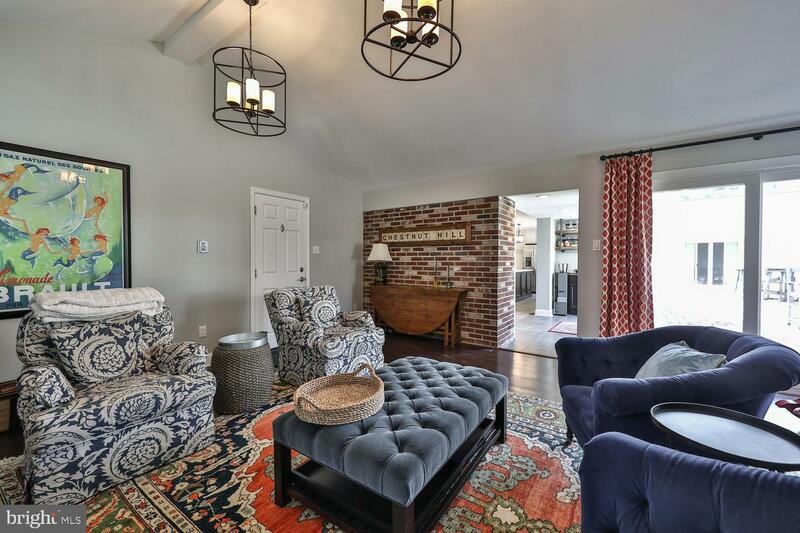 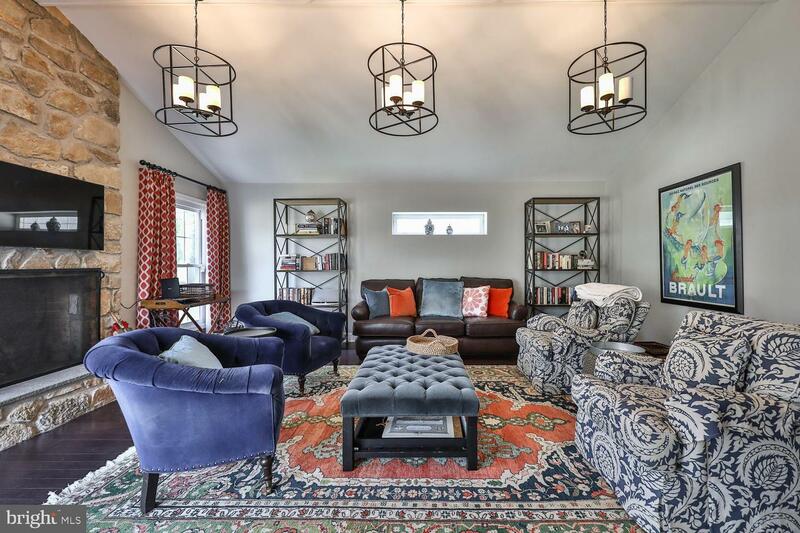 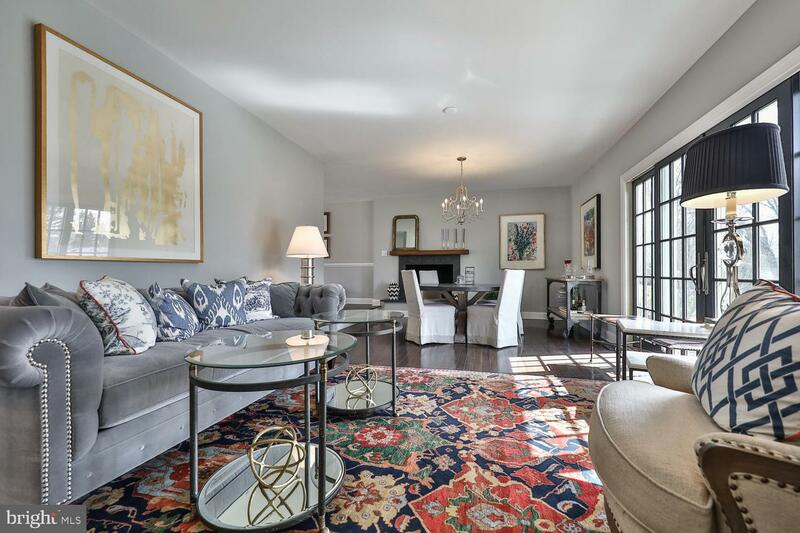 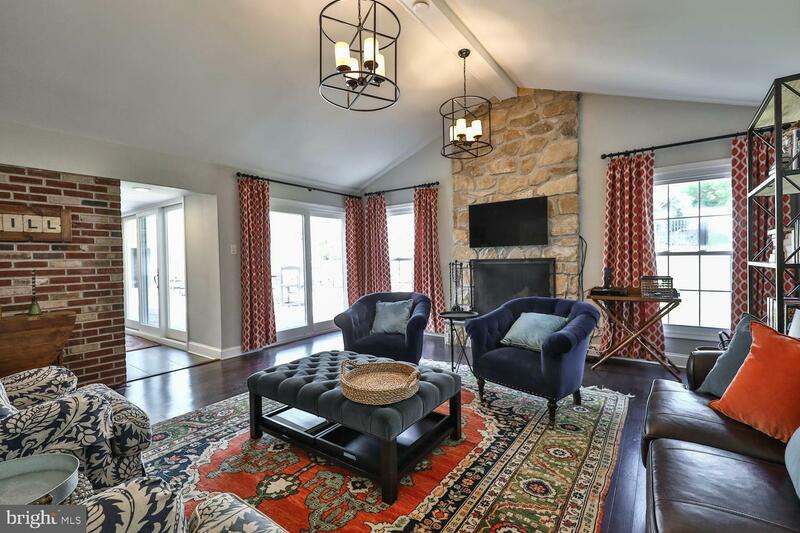 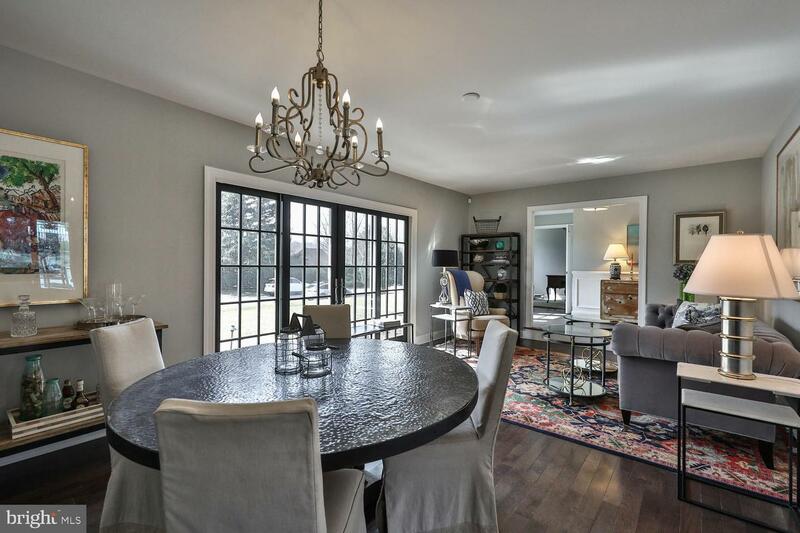 A stunning, family room with chandeliers hanging from vaulted ceiling has a stone fireplace and heated dark wood floors also overlooks the backyard. 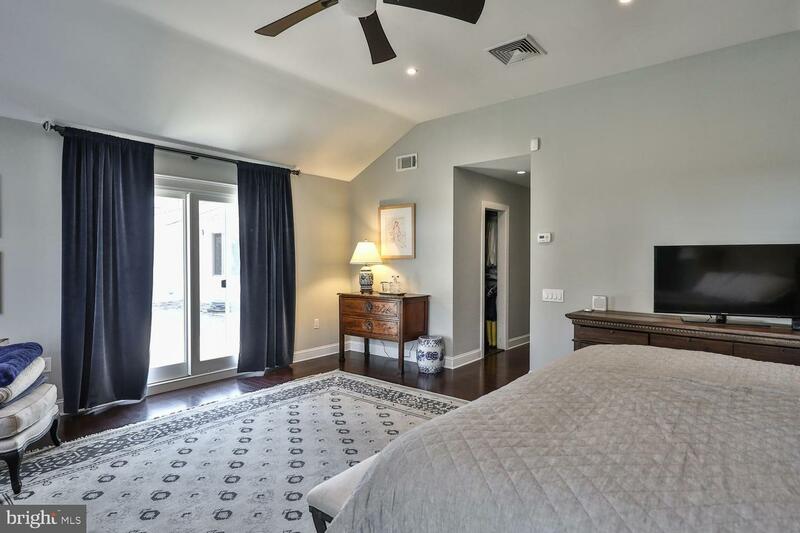 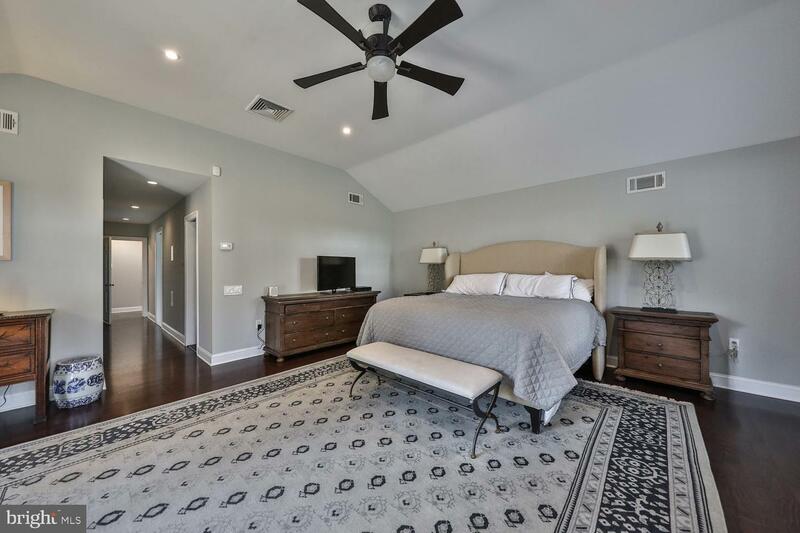 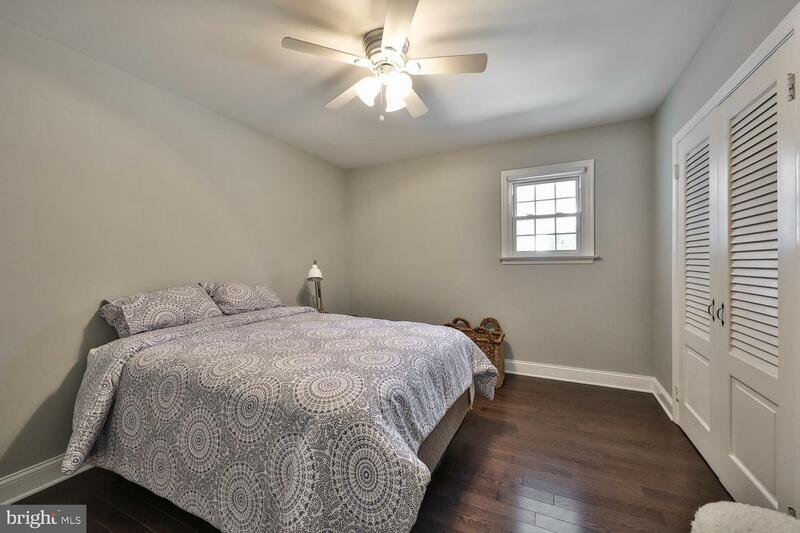 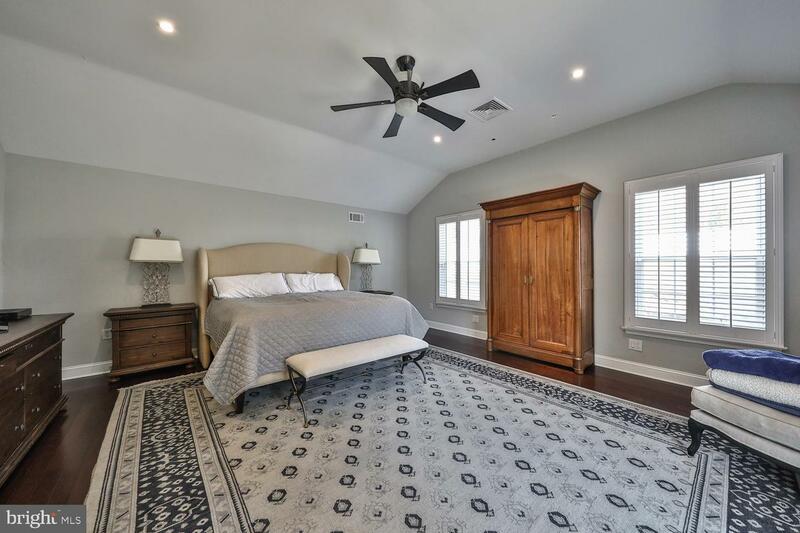 The master bedroom suite has dark walnut floors, French doors to the patio, two large newly designed closets and spa bathroom with double sink, walk in shower and freestanding tub to soak your stress away. 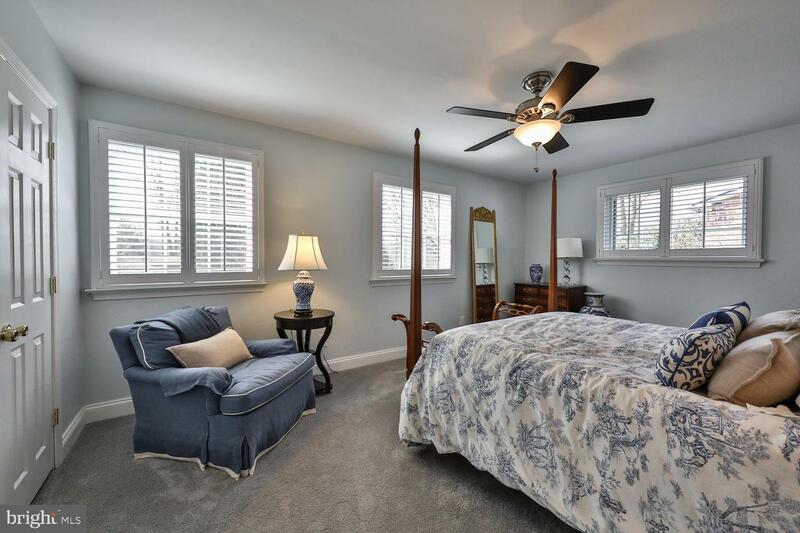 Two other bedrooms, one with an ensuite bath have big closets and beautiful plantation shutters. 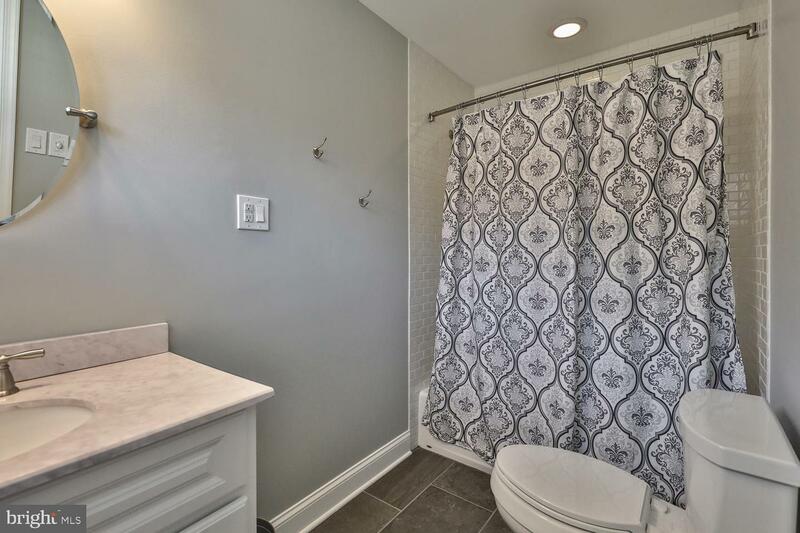 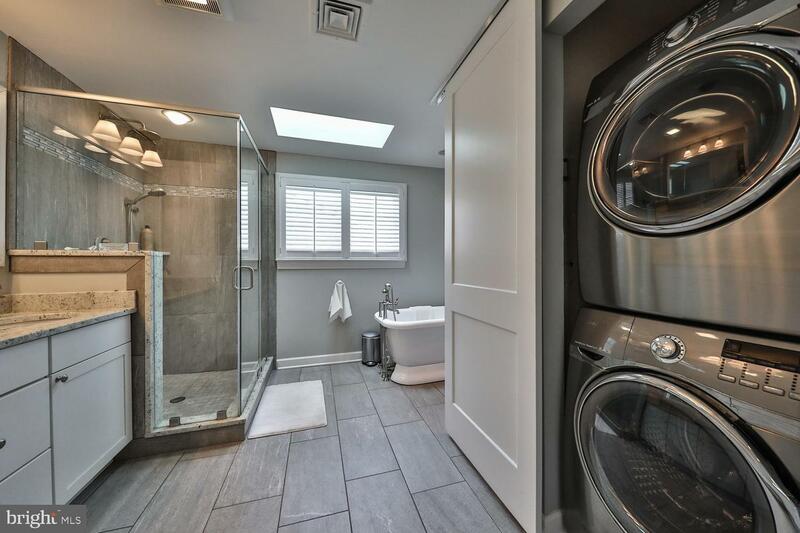 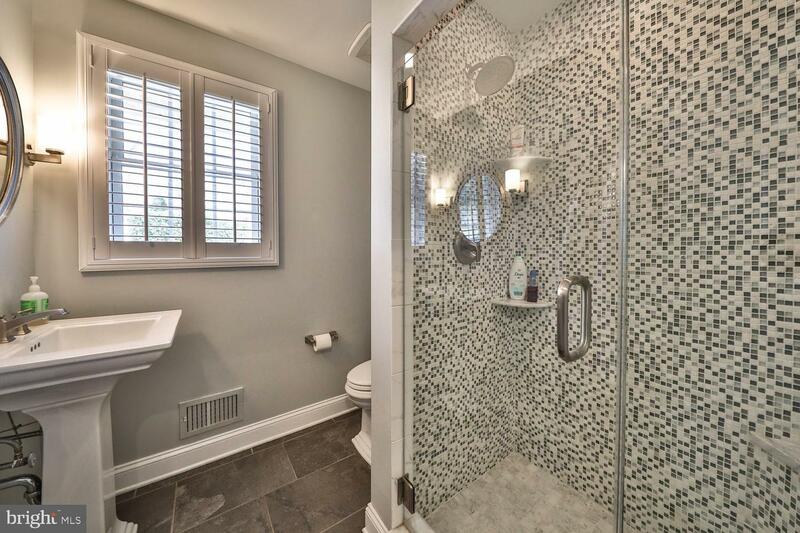 The guest bathroom is new with gorgeous gray and white tile and walk in shower. 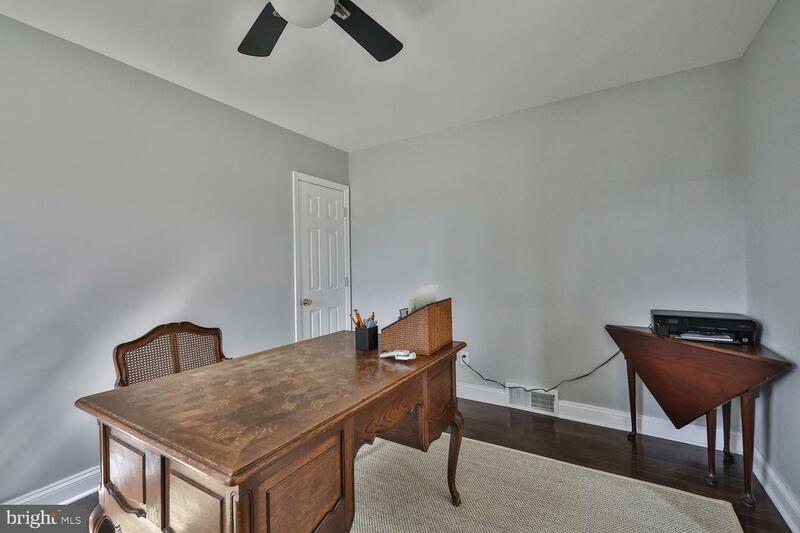 An office off the front hall rounds out all of your desires. 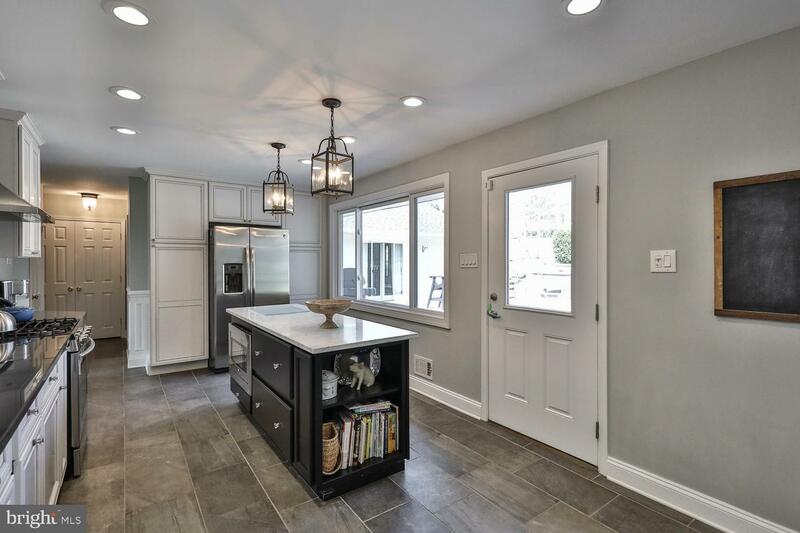 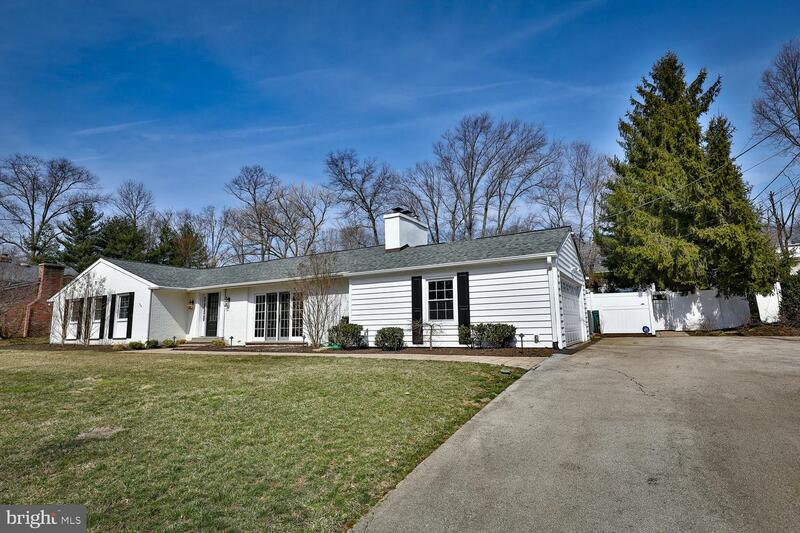 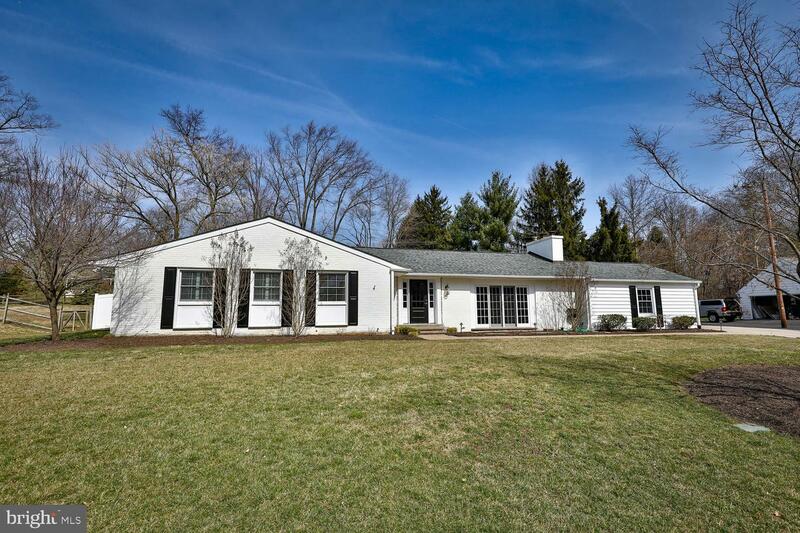 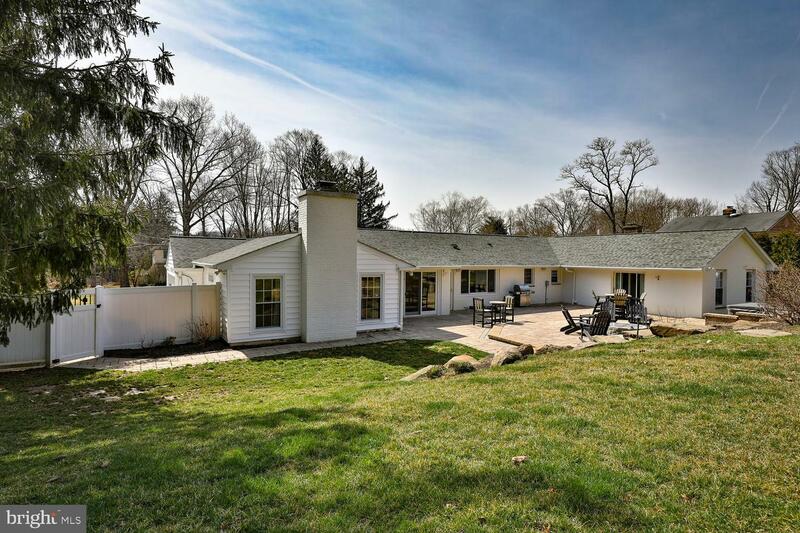 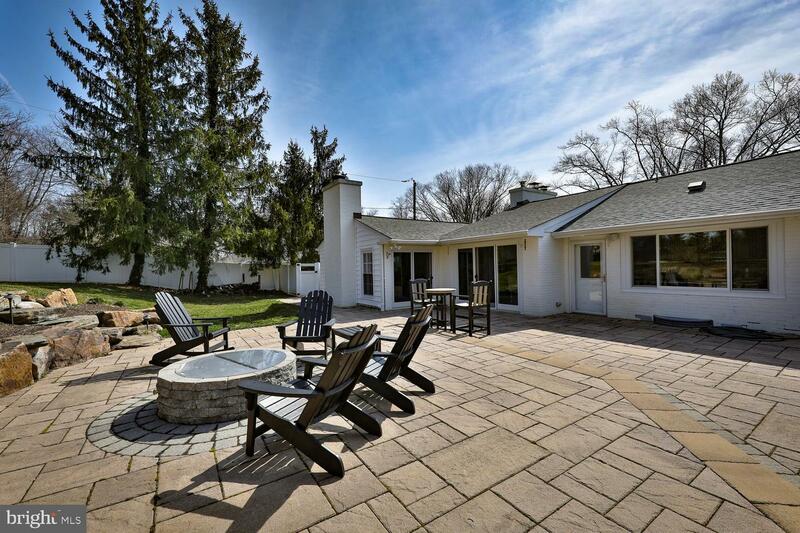 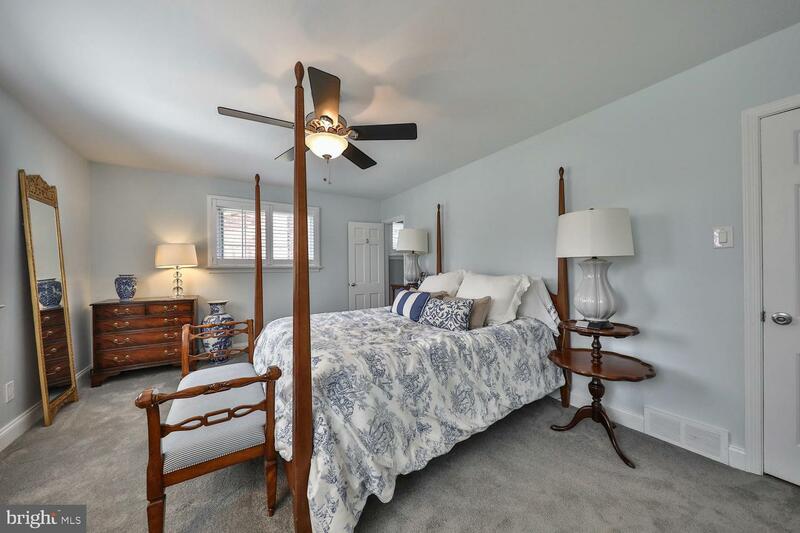 The very desirable Whitemarsh Valley Farms neighborhood has beautiful mature trees and is convenient to Lafayette Hill, Chestnut Hill, Ft. Washington, many area golf clubs, the PA Turnpike, 476, shopping,restaurants and all major highways. 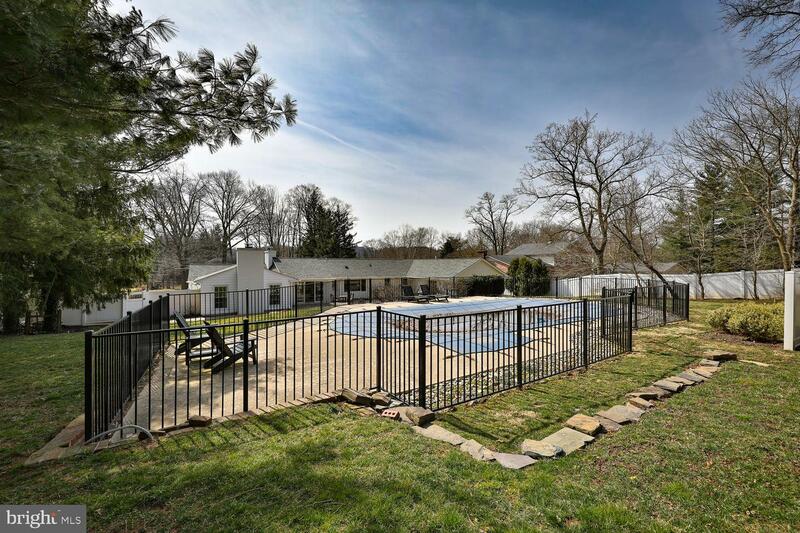 The area is minutes away from Ft. Washington State Park and Valley Green for outdoor recreation. 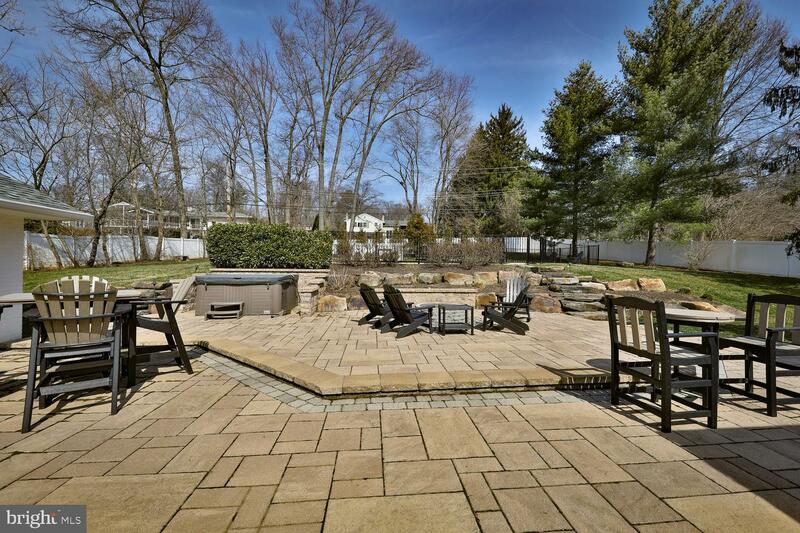 Serenity now. 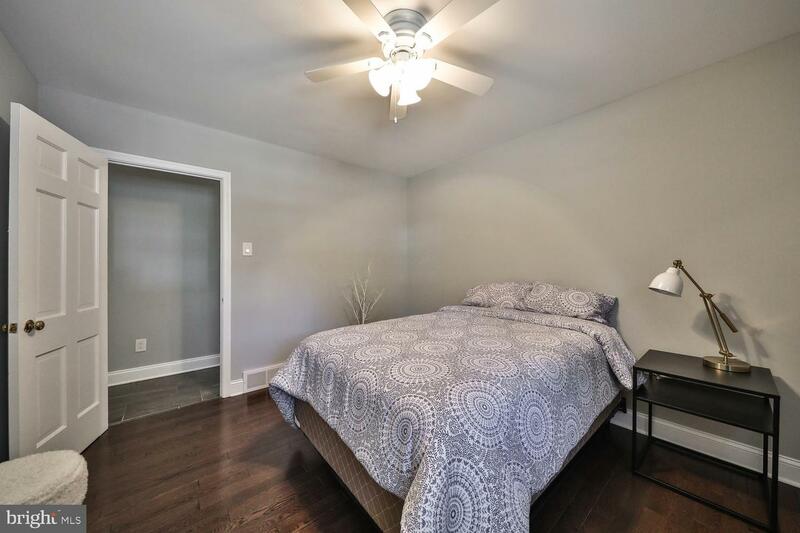 The search for your home ends here.